SEOUL, Nov. 14 (Yonhap) -- Jin Air Co., the low-cost carrier unit of Hanjin KAL Corp., launched a chatbot service on Tuesday, giving automatic answers to customers through an artificial intelligence (AI) algorithm, the company said. "Jaid" is an online messaging tool that uses deep-learning technology to answer questions from customers about various information ranging from reservations to flight information. The company said the service is provided through Facebook and Skype and is available in Korean for 24 hours. The chatbot, which responds to inquiries and gives recommendations, has been spreading to various service industry sectors since Facebook opened its Messenger platform last year, allowing media publishers, retailers and other companies to develop chatbots that offer their services to Facebook users. 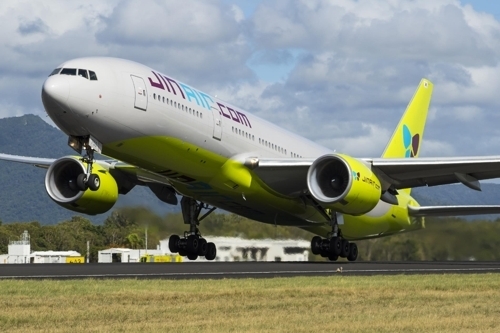 "Jaid has been set up to improve its ability as data accumulates," said a Jin Air official who asked not to be named, adding that the company will soon provide the service in other languages. On Monday, Asiana Airlines Inc., the country's second-largest airline by sales, also launched a chatbot service to provide information in both Korean and English. The service was developed using Microsoft Inc.'s cloud platform Azure and the AI-based Language Understanding Intelligent Service.